As the promos for Bbuddah Hoga Terra Baap show us -- and as Rajnikanth keeps reminding us every few years -- you don't have to be young to be a larger-than-life action hero, one knocking over dozens of villains with a single kick or with the way you wear your sunglasses. In fact, the older men are kinda better suited for this job, given that they have experience through the 1970s and 1980s, when that sort of machismo was displayed purely without irony. So while Amitabh Bachchan shows the kids how it's done this Friday, here's a look at 10 others who could totally get the job done. He's never been much of an action hero, but there's something to be said about longevity. Jumping Jack still looks like he has enough flash left to rock a pair of sunglasses behind his neck. Also, at a time when heroes are trying to wear white, he could so be the man. 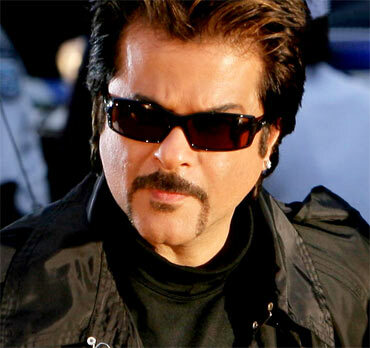 Frightening dogs and scoundrels for decades, Paaji's the real deal when it comes to being Bollywood's action man. The years have taken its toll on his features and teeth, which is why he ranks so low on this list. But when he looks angry -- as we saw in Life... In A Metro and Johnny Gaddaar -- it's hard not to flinch. In case you forgot, he was the Big B's big brother. 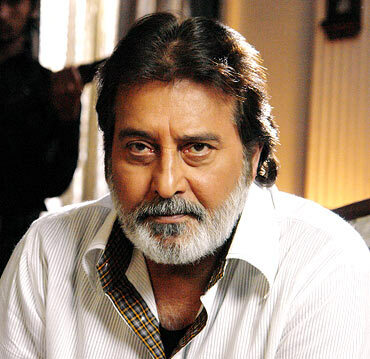 In Amar Akbar Anthony, Khanna's Amar might have been the driest character, but was without question the toughest of the bunch. He might be out of shape today, but a reprisal of his classic action hero character could yet be pulled off. Just don't put him on the Cinthol horse. Think of Parinda. Think of Jackie Shroff's tough-as-nails cop entering the film, climbing stairs buckling under his own vardi-clad badassedness. He's been bizarre of late, but the Tamil sensation Aaranya Kaandam, where Jaggu Dada goes full-frontal, is causing an action revolution. And few men can carry off weird boots as unashamedly. Over the years, we've seen there's very little that Shah can't do. 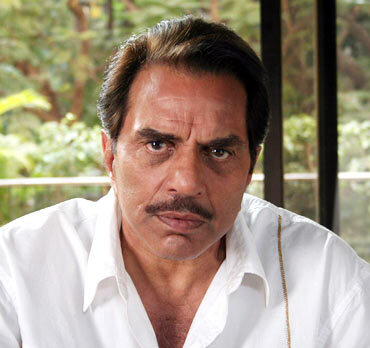 And while he's only played an action hero once -- very memorably in Jalwa -- he's a fit old man who can be menacing enough to make co-actors frequently forget their lines. No biceps needed here, just a character so sinister, so ruthless he makes you shake. And he will. An intense actor with a fiery gaze, he's frequently straightjacketed in roles either deadpan or manic or, usually, both. 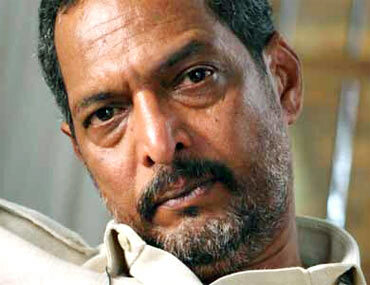 Patekar, however, is a great fit for an military man going rogue, an old man shoved into a situation where all that'll work is a good ol' yippee-ki-yay, and if he's given full rein, Sher Khan will rule it all. 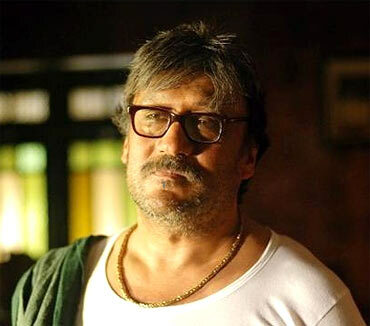 It's been a while since Dutt took on a full-blooded action role -- not a particularly bad idea given the actor's embarrassing paunch in films like Blue -- but he seems more than back in shape now, as he prepares to take on Kancha Cheena's role in the Agneepath remake. And everybody knows Sanju can smash kneecaps real good. Okay, she isn't a man. Rekha, however, has always taken on 'male' characters with defiant glee, and while tribute must be paid to her Khoon Bhari Maang antics, this is more of a salute to her work in Khiladiyon Ka Khiladi, where she bravely mud-wrestled a young and hirsute Akshay Kumar and pinned him to the ground. Respect. Indian cinema's original Munna Bhai, Kapoor could do an action film if we started filming today. The only problem with him being on this list is that he looks far younger than the rest, and would have to get old-man make-up. Once the fake wrinkles are on, though, expect the fireworks to be both kickass and jhakass. In an age where we are embracing kitsch and turning ourselves stupid in the name of irony, at a time when we're going ludicrously over-the-top and regressing into the trashiest of our cinematic comfort zones, at a time when Bollywood clearly needs a kick in the seat of the pants -- Well, who else to administer it than the man we once called Jimmy? Take away the pretenders and bring out the Boss of the B-grade. 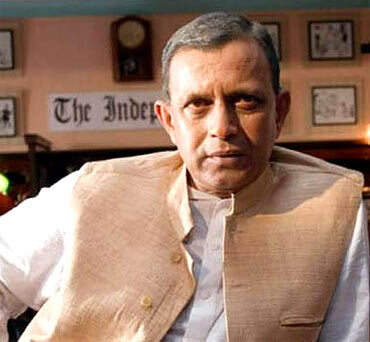 Mithun Chakraborty might have won a couple of National Awards and established himself as a proper actor, but give him a movie directed by Robot-helmer Shankar -- coincidentally Mithun's character's name in the iconic Gunda -- and you'll see the only man who can conceivably take on Rajnikanth. And maybe, saala, even win. Priyanka & SRK's Zor Ka Jhatka!